Week 16: The Skin I’m In. 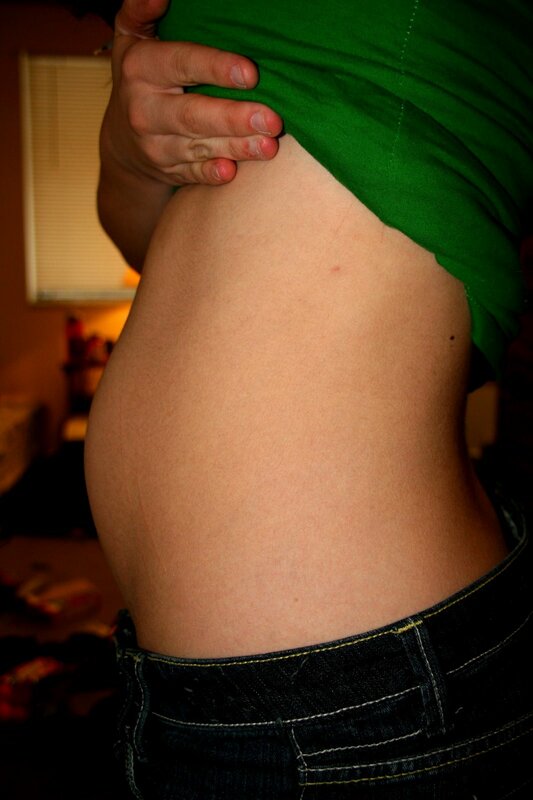 Well, here is my growing belly! I’m loving it. The past three days I’ve felt a really heavy and achy feeling. It’s almost like I have a full bladder… you know that feeling? Only I don’t have one. I hope this makes sense. 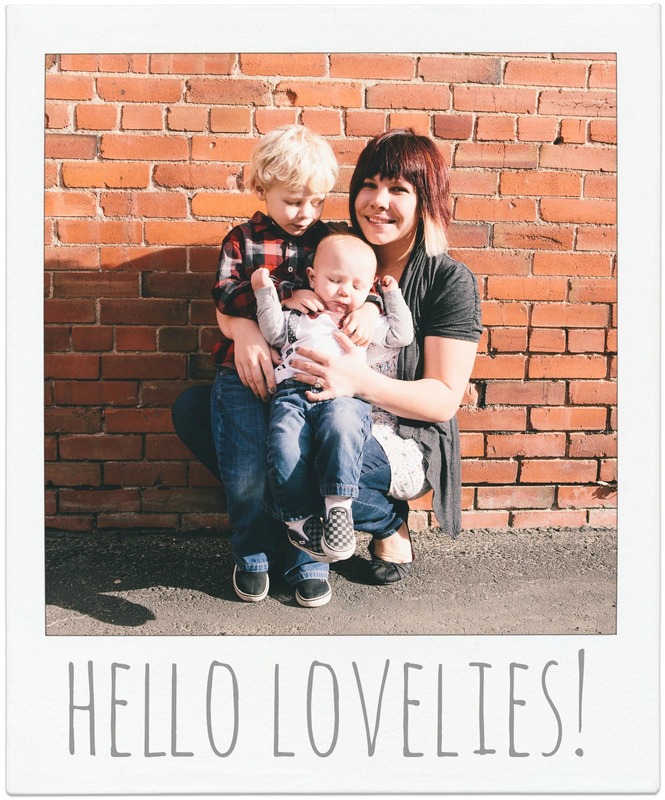 If you’ve been preggo before, please let me know what you think it is! I’m not afraid, only curious. eeeek. so super exciting jimi! ps. hot shirt! The full bladder feeling is normal from my experience- even more so as you get bigger. Oh boy now that I’m coming up on 37 weeks there is a new meaning to achy and heavy (and tired)! 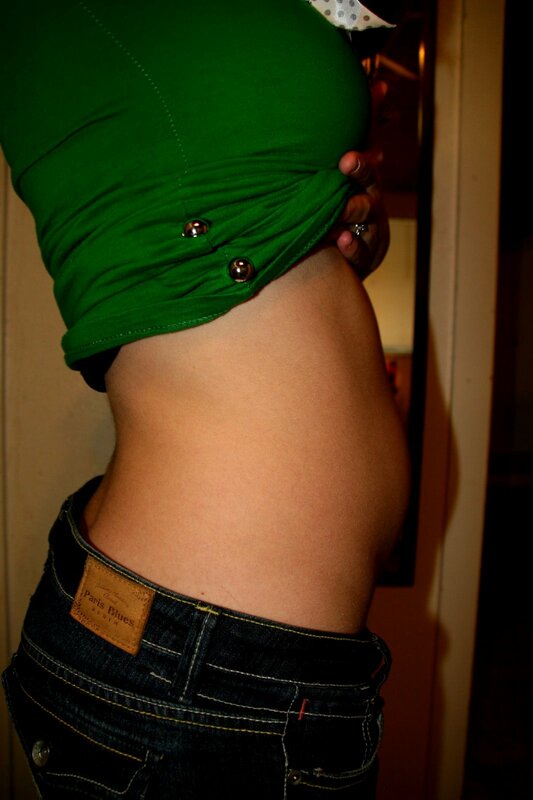 Your little bump is adorable :) I think you’re starting to carry very similarly to me. Are you planning to find out if it’s a boy or a girl?